International training and business solutions company based in Dublin, Ohio teaches customers every day about providing exceptional customer service and creating legendary experiences. 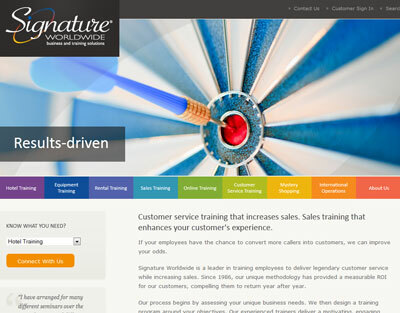 Now, Signature Worldwide's website, http://www.signatureworldwide.com, embodies their brand promise and shows prospective and current customers exactly who they are as an organization within their very first interaction. CEO Steve Wolever and Director of Marketing Cara Posey explain the importance of providing an excellent customer service experience every step of the way. As a company that trains others on the value of customer service, we want Signature Worldwide customers to know that we care about every interaction they have with us. 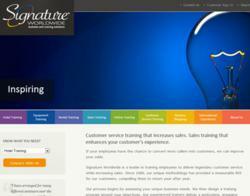 What are customer expectations for a company website? 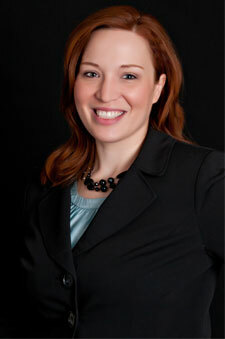 In 2012, the website now often serves as a customer's first official introduction to a company. While a brick and mortar institution may provide an excellent customer service experience, if the customer never interacts with them due to their web experience, the opportunity is lost. Signature Worldwide, a small company with a great character, knows the value of every opportunity they have with a prospective and current customer. 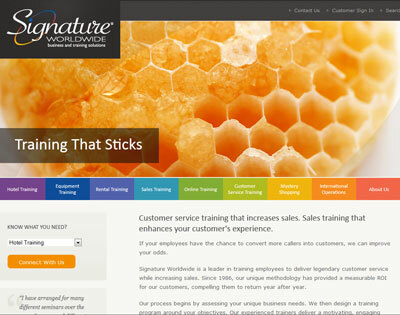 An international training and business solutions company, Signature Worldwide has quite a reputation with their customers. Anyone who has attended a class with one of their trainers will tell you it is not your typical training day. There is no lecture, people are up and moving, and all senses are engaged...there are even toys. "When I started working with Signature Worldwide, I realized right away that they had an amazing culture and were such a fun company. I knew that our website and our marketing materials needed to reflect what our customers experience in the classroom or when they meet with one of our staff," said Cara Posey, Director of Marketing. The first step in the process of visually and verbally expressing the customer experience was defining Signature Worldwide's brand promise. Their brand promise is to be inspiring and fun, results-driven, and to provide training that sticks. These elements are key to everything that the company does and every interaction the company has with existing or prospective customers. The next step was determining what these elements looked like. Posey added, "Some of our Twitter and Facebook friends will remember that the marketing team reached out to our professional contacts all over the world and conducted a four question visual survey to determine which images best represented each element of our brand promise." The new website, which launched this week, was the culmination of hundreds of hours of thought and research, asking questions such as: "How can you visually express the true essence of a company?" and "How can we show a prospective customer exactly what they will experience when they do business with us?" Paul Hagen, an analyst with Forrester, wrote in September 2011 about how B2B customer experiences "stink." Hagen blogged that many companies said they didn't need to worry about customer experience because their account management teams already personalized encounters with customers. In today's environment, no company can afford to ignore the power of their entire customer's experience with them. "As a company that trains others on the value of customer service, we want Signature Worldwide customers to know that we care about every interaction they have with us," said Steve Wolever, CEO. "Whether that is filling out a web request for mystery shopping, logging into our online learning system, or downloading one of our product cards, we want them to have an excellent customer service experience." 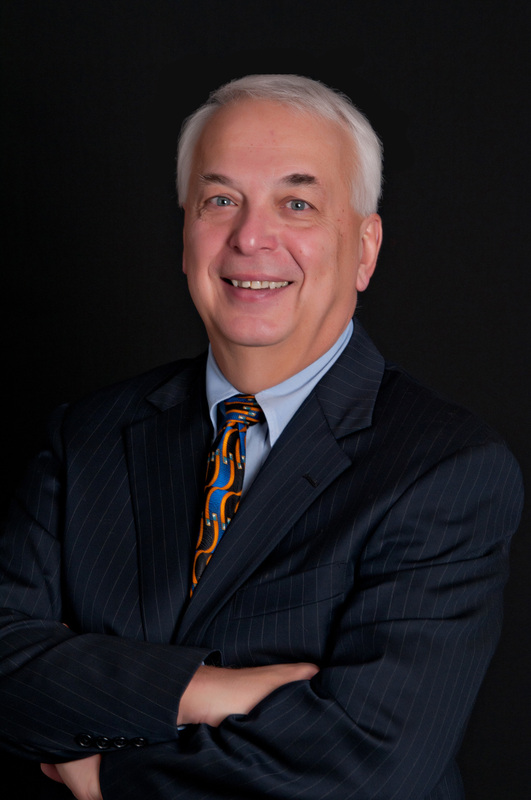 Signature Worldwide began in 1986 training hotel employees to improve customer service levels, increase RevPAR, raise occupancy levels and ultimately generate more revenue for hospitality clients. Over the past 25 years, they have expanded their industry expertise to multifamily and public housing, equipment, trucking, party and event rental, senior living and in 2010 introduced social media training. Whenever the phone rings, a customer approaches, or an online inquiry is generated, Signature Worldwide helps to improve the customer experience significantly. 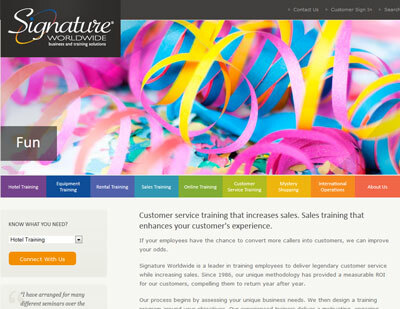 About Signature Worldwide | Signature Worldwide is the leading provider of training and business solutions to service-based organizations, creating tailored employee training and marketing programs that directly impact the bottom line. Established in 1986 and headquartered in Dublin, Ohio, Signature Worldwide operates throughout North America and has licensees in four other continents; Africa, Asia, Europe and South America. For more information, visit http://www.signatureworldwide.com or connect with Signature Worldwide via Twitter @signatureworld or on Facebook at [http://www.facebook.com/signatureworldwide.